There are risks when using personal assets as collateral for a business loan. When underwriting a loan, many lenders will insist on some sort of collateral for security. 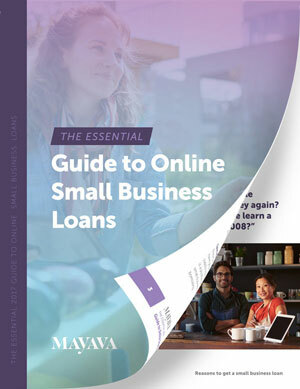 For business owners, they may not have the adequate collateral available in their business so they may have to utilize some sort of personal asset as a guarantee. As a result, some lenders may force a borrower to put up a personal asset as collateral, such as their personal residence or investments. For any number of reasons, using personal assets as collateral for a business loan is quite risky. Moreover, business owners may not want to risk their personal assets no matter how badly they may need capital. Let’s explore why using personal assets for business loan collateral may be risky. A business owner may need funding for only a short amount of time, or need funding as a result of a sudden emergency. Though the fortune-telling industry remains subject to many economic uncertainties (no pun intended), one economic certainty is that a small business may find itself in immediate need of capital. It is not so much a question of “If” as it is “When”. Utilizing personal assets as collateral may have its own set of time-related risks. For starters, a company may find that it cannot liquidate assets quickly enough to meet a sudden obligation and find themselves having done so for nothing. Worse is when there is some sort of liability to the company, such as a tax liability from selling an asset. Another situation may be that the company might have to scramble to liquidate personal assets for access to capital that added additional debt, costly in terms of both money and time. Money may come and go, but time never comes back. Make sure that if a personal guarantee is utilized that the assets that can be liquidated immediately. Kevin O’Leary, one of the entrepreneurs from the “Shark Tank” television show may give differing accounts on how he earned his “Mr. Wonderful” nickname. But one account that cannot be disputed is the weight that O’Leary places upon business valuations, and for very good reason. For any type of underwriting in any asset class, valuation of the assets is an extremely important consideration. Valuation plays a large part in what the loan amount, terms and conditions will be. For example, a business owner may possess shares of a stock that are “restricted”, which falls under the legal purview of Rule 144 of the U.S. Securities and Exchange Commission. These shares are subject to a holding period of one year and certain other reporting rules, especially if the owner holds a significant amount of the shares outstanding, making the owner a “material owner”. If these shares are not valued properly, there are serious consequences for both borrower and lender. For the lender, they may find themselves handcuffed to a loan that is already underwater with little chance of recourse or recouping the value. They may also have to utilize other hedging instruments that increase the cost of lending and due diligence. Borrowers may also find that not only has their investment been mispriced, it could possibly lead to legal action against the lender. Borrower and lender in this situation may also face charges from the Securities and Exchange Commission if the 144 paperwork was not filed properly. So when utilizing personal assets for guarantees, be sure to have those assets properly evaluated and make sure that these assets are not subject to wild price fluctuations. Besides shares of stock, there are other assets that can be utilized for a business loan guarantee. Inventory, equipment, real property and even receivables can be utilized as collateral as well. In some instances, there may be times where the business collateral is sufficient enough that personal guarantees are no longer necessary or significantly scaled back. Evaluating the type of collateral available and how the lender will consider its value also becomes a very important lending consideration. Not only will its valuation be different, each type of collateral also matters in establishing a duration for a loan. Collateralized real estate or cash accounts will elicit different terms and conditions compared to collateralized securities or receivables, for instance. But remember that as every lender and borrower are different, so will the acceptable collateral. For instance, raw land is not typically considered a collateralized asset, but an industrial building can be collateralized. Cash in a trust fund or a business checking account may be readily used as collateral, but securities in a brokerage account might not be. Evaluating the type of collateral that can be utilized and how a lender will collateralize the asset should also be an important consideration to keep in mind. This can not only prolong the term of the loan but even affect the ability of a borrower to secure capital, if not only to pay back the loan in the first place. Not every lender nor every lending situation may necessitate a personal guarantee. But that is not to say that it should not matter nor be important. In fact, determining whether a personal guarantee is necessary is one of the basic considerations for any business loan. But determining which personal assets will be pledged towards the loan is not a basic decision to be made. There are numerous questions that a borrower must answer before making the decision. Whether or not this asset is expendable, whether control of the asset can be regained and how the asset will be collateralized are among a few of the many questions that must be answered. But more importantly, even before taking out a loan, a borrower must determine how much they want to risk. Borrowers must remember that every lending transaction must result in a net positive gain to the business. Risking enough in the way of personal assets makes it that there may be a situation that if not done properly, there can be a net positive loss.